The BRUBIN BA Series peristatic hose pump can handle your toughest pumping needs – from abrasive and aggressive fluids to sheer sensitive and viscous materials. Seal free design eliminates leaks and contamination. Fluids are contained within the hose. The hose is the primary maintenance component. The BRUBIN Series pump is self-priming to 25.5 ft. (9 meters) manometric lift. 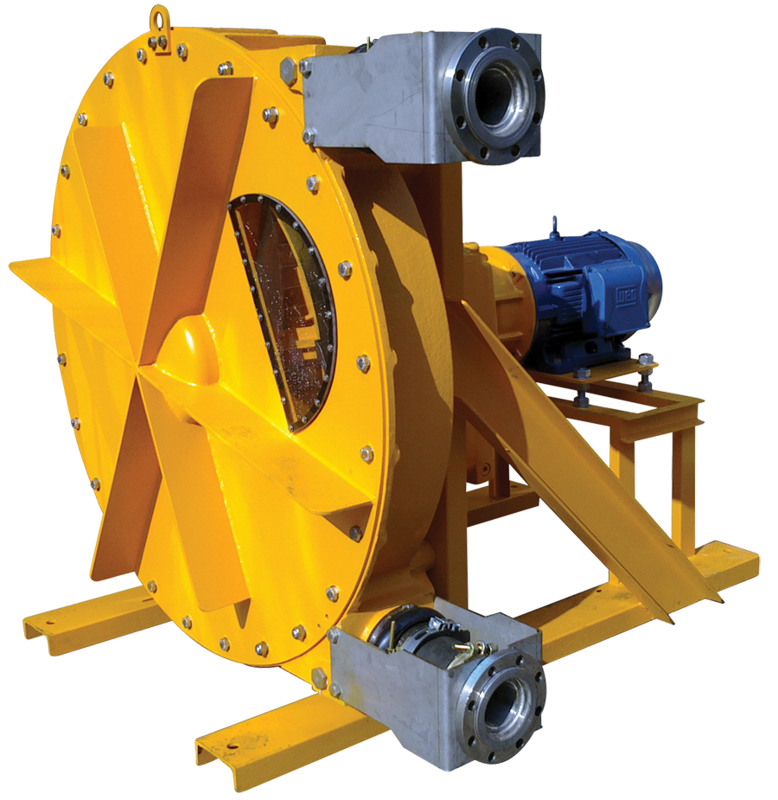 This pump is able to run dry continuously without detrimental effects . The pump is capable of running in forward or reverse. Durable iron and steel construction allow higher discharge pressure to 217.5 psi. (15 bar). Its solid construction and advanced design also reduced maintenance and repairs.